Lots to read and plenty to do! There’s one near you wherever you may be. Friendly staff and cool décor. A book utopia who could want more? It doesn’t matter what your age. Mags and maps, old and new. Halton Libraries are where it’s at! National Poetry Day was founded in 1994 by the charity Forward Arts Foundation, whose mission is to celebrate excellence in poetry and increase its audience. The Day enjoys the support of the BBC, Arts Council England, the Royal Mail and leading literary and cultural organisations, alongside booksellers, publishers, libraries and schoolIt’s national poetry day so here’s a rhyme. You’re never too young to enjoy poems so join us today for rhymetime at Halton Lea library to share rhymes and songs for 0-5 year olds from 11am. We will also be hosting a rhymetime at our bump booster baby shower event today at Widnes library from 3.30pm. 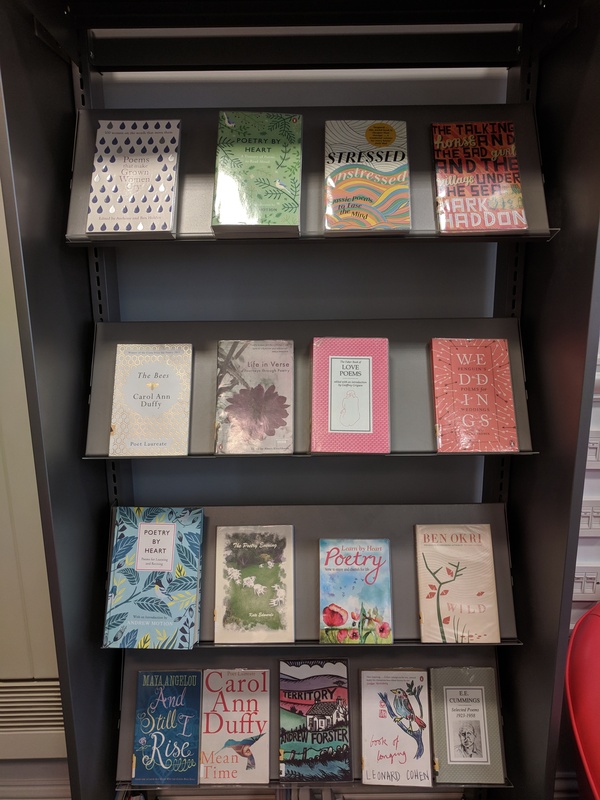 We also have a wide selection of poetry books for you to enjoy – there is a poem for everyone to discover.